Divekick may have started as a parody, but this game is no joke. 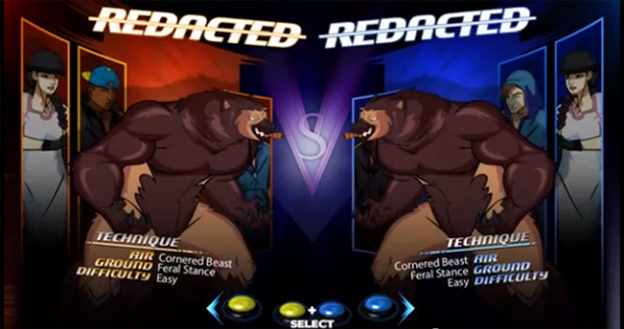 The minimalistic controls create a tense and competitive atmosphere that guarantees to satisfy fighting-game professionals and casual fans alike. I got a chance to test out the bare-bones fighter at PAX East this year. Two buttons control Divekick. One, called dive, launches you into the air. The other, kick, catapults your character towards the ground in a deadly diving kick. Landing a dive kick deals a million points of damage. Since the characters only have HP in the thousands, one kick wins a round. Winning five rounds wins the game. By all video game laws Divekick should be an extremely boring game to play. By taking their simple fighting mechanics seriously, the folks at Iron Galaxy have instead created an astoundingly complex game. The kickback move is a good example of this. 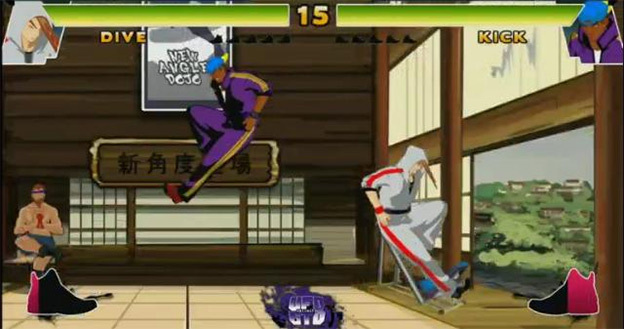 A player can perform a small backwards jump by pressing the kick button while on the ground. In any other game this type of movement would be ignored in favor of flashier moves. In Divekick it’s a game changer. Making a perfectly timed kickback opens up your opponent to a round-winning boot to the face. The little things matter the most in Divekick. 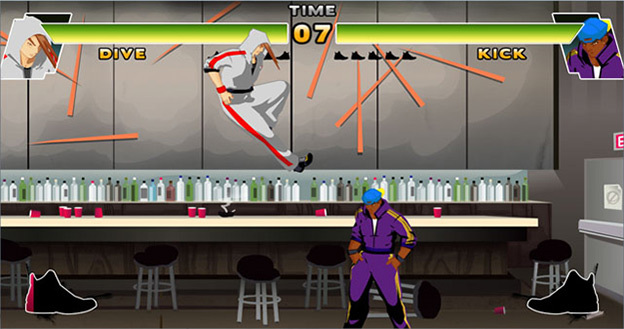 At the beginning of a fight a player gets to choose between four different “blings” that slightly increase the stats of jumping, kicking, or meter gain. This send up of the gem system in Street Fighter X Tekken might appear useless, but in Divekick, even the smallest tweak to jumping or kicking speed will change how you play. Character selection also adds depth to the game. Each character in the game has a unique play style. The titular character Dive, for instance, has a ground technique that lets him jump forward instead of straight up into the air. This makes him the only character with a forward jump in the game. That such a small change in gameplay can affect the game so drastically demonstrates Divekick’s depth. Other mechanics deepen the gameplay as well. The Kick Factor meter at the bottom of the screen fills every time a player performs a dive kick. Filling it partially allows you to use a special technique. Filling it completely lets the player enter Kick Factor mode. Being in Kick Factor improves kicking speed and angle. Kick Factor refers to the X-Factor mode from Marvel Vs. Capcom 3. Divekick’s greatest strength comes from its love of the fighting game genre, and its need to make fun of it. As mentioned, before each match, a player gets to pick some bling to provide them an edge. One of the items of bling, however, is greyed out. The game tells you that the greyed out gem can be purchased as DLC. This tiny ribbing at Capcom’s habit of charging for items already in a game is only one example of Divekick’s stash of funny. The character Redacted, for instance, looks an awful lot like a caricature of Wolverine. She’s big, hairy, and smokes a lot of cigars. Wolverine’s not the only character parodied in the game. 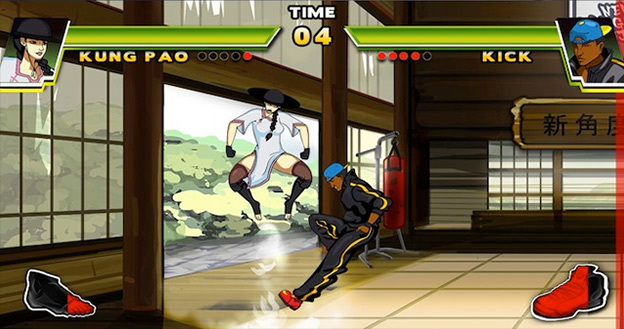 The dual protagonists Dive and Kick represent Yang and Yun from Street Fighter. Kung Pao is a female Kung Lao from Mortal Kombat. Dr. Shoals also reverses the gender of a popular character; this one being Dr. Doom from Marvel Vs. Capcom. Both the humor and the surprisingly intense gameplay make Divekick a game to look forward to. Anyone can play this simple game and have a blast doing it. It’s a game that boils down to skill, and only skill. There’s no randomness, no execution, no combos, and no cheap moves. Do you have what it takes to be Divekick champion? 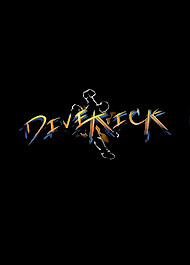 Divekick will be released on the PC, PS3, and PS Vita this summer. Online GGPO netcode complete with ranked and unranked battles. Multiple palettes for each character. A roster that is still growing. The simplest fighting game you will ever play. Features character’s that can both dive and kick.